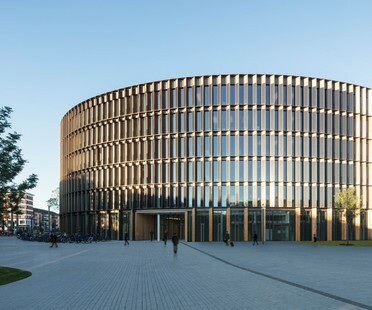 The new Freiburg Town Hall opened a year ago, an administrative centre with a daycare which is the first public building in the world to produce more energy than it consumes. 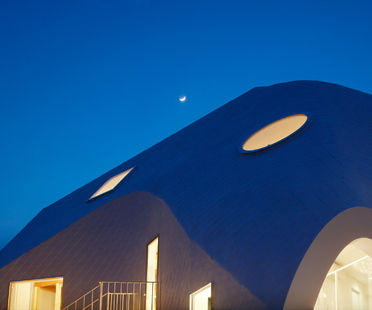 In their first project in Japan, MAD Architects combine the memory of the site, an old house converted into a kindergarten, with contemporary architecture: Clover House stands out from its surroundings in Okazaki with its coat of white asphalt. 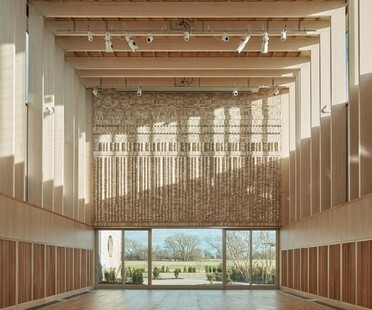 Fantasy and constant attention to details are the distinctive features of the project of the Storey’s Field Community Centre realised by MUMA LLP for the University of Cambridge. It is a great quality building whose every aspect privileges human scale, and one of the six finalists chosen by the panel of the RIBA Stirling Prize 2018. Lushan primary school under construction in China and a selection of other works by Zaha Hadid Architects will be on exhibit in Milan until June 30 at the House of Art and Artists (HOAA), near the Bovisa Campus of Politecnico di Milano. From nursery schools to high schools, the best architectures for education have been chosen by the Committee on Architecture for Education of the American Institute of Architects (AIA) for the first edition of the Education Facility Design Award. Olga Aleksakova and Julia Burdova's architecture firm Buromoscow has designed a kindergarten in Moscow. R2k Architectes from Grenoble have designed a nursery for 40 children in the little town of Tencin, in France. With its wooden shingle covering, the Relais d'Assistance Maternelle in Tencin, designed by R2k, stands out from its urbanised setting with strong echoes of tradition.